It is proven that many of the psychological problems that we face, have physiological and neurological underpinnings. Health professionals today are integrating the field of neuroscience and psychotherapy for a more holistic understanding of these problems. Neuropsychotherapy or neurocounselling can be therefore seen as an interplay between mind, body, and social interaction of a person. Health professionals are integrating neuroscience into a variety of psychotherapeutic approaches, to gain a deeper insight into the underlying causes of the problems their clients face. The focus is not only on the interpersonal relationships and the environment of the client, but also on the microscopic details of the neural networks associated with the problem. For instance, if the problem was fear, not only are the interpersonal and social aspects of fear understood, but the involved neural networks are also considered. The neural networks are explored using EEG or neuroimaging techniques like the PET and fMRI. Neuropsychotherapy aims to utilize the neurological, cognitive, emotional, social, and environmental information. By the use of this therapeutic technique, the health professionals plan to change the brain, not by targeting the anatomy, but rather by focusing on life experiences. These targeted experiences have to be embedded within the brain structures. Such experiences may include intense emotional content, which can lead to neuronal damage. Health professionals may use one or more techniques depending on the issue on hand or as per the needs of the person in question. Research has proven that negative stress can alter the functioning and regulation of emotions and memories. It might include difficulties concentrating at work, difficulties performing at work, forgetting tasks, increased aggression, elevated anxiety and depression levels to mention a few. Health professionals using emotional reconsolidation will help to release the emotional distress and will help to rewrite the memory in ways that will take off the emotional load without altering the actual events that conspired. This in turn will lead to better concentration, better productivity, better clarity of thoughts, in turn, reducing anxiety and depression which will ultimately lead to better work and life satisfaction. 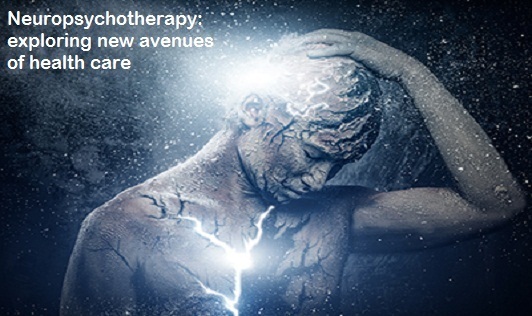 At its heart, neuropsychotherapy is neither a technique, nor a protocol, nor a therapy. Rather, it identifies itself as a meta-framework that tries to understand how the brain functions at a biological and social level and how this information can be used to employ best clinical practices.